1. Lots of job opportunities: Business courses introduce you to marketing, human resources, accounting, ICT, customer care. Every organisation needs people who have these skills. 2. Increases your confidence: Business courses are all about developing your interpersonal skills so that you feel more confident dealing with people in the workplace. We do this by involving you in hands-on activities such as group projects and fundraising. 3. Prepares you for the modern office: You will learn how to use the most up-to-date ICT Microsoft packages. If you have great ICT skills you will be immediately effective in the workplace. 4. Improves your communication: Business people need to be able to write reports, letters, and e-mails, deliver presentations or negotiate deals with customers. We also develop your listening skills and raise awareness of the importance of body language. Our employers tell us communication is one of the most important skills they look for in applicants. 5. Become a great team player: It’s all about the team! In our collaborative learning environment you will learn to work as a team, how to get the best out of your team and discover what your role is in a team is. 6. Learn to deliver exceptional customer service: For business success you need to understand your customer needs and deliver a service that exceeds their expectations. A business course will show you how to achieve this. 7. You can exploit your creativity: Have you got good ideas? Are you innovative? Are you a detail orientated person? A business career gives you opportunities to make a real impact by tapping into your creative side. 8. If you love a challenge: Employers need qualified business people who can help them solve problems and make decisions that will generate wealth for their business. If you are a hands-on person who likes to deal with practical – often tedious – problems that have to be overcome to keep a business functioning, then a business course might be for you! 9. Because you are a people person! You like to talk, discuss, debate, negotiate but most of all feel your contribution is helping. “People buy people” so if you are good at interacting with people and enjoy the experience you will get the most out of a business course. 10. Want to be self-employed? A business course can help you achieve the knowledge and skills you will need to manage your own business. Stop dreaming and start believing in yourself – you can make this happen! Once qualified you will have a range of skills allowing you to work in various areas of a business including marketing, sales, customer service, HR, accounting, ICT and admin. College is a great place to start a highly successful and rewarding career. Here are some of our business students who have made the decision to do just that. 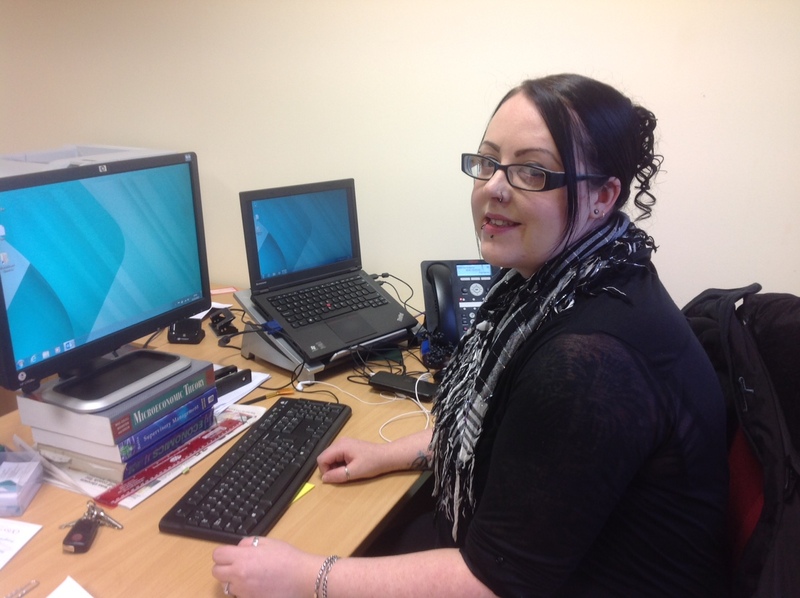 Nichola Noble from Kilmarnock is a current student on the HNC Administration and ICT course. I left school and went straight into work as a waitress. Over the next ten years I held a variety of jobs like cleaner, factory worker, sales assistant. I had no career plan and my main motivation was to earn money. However it was a great life experience and I learned customer service skills, how to work as a team, how to motivate a team, cash handling, sales and marketing techniques. Then came a time when I thought – I need to do something with my life. With all the business and administration skills I had learned on the job I was naturally attracted to get qualifications in these areas. I started with NC Administration and ICT Level 6. I was scared to be starting my education again at 27 years of age and although it has been hard financially I enjoy what I am doing now. The lecturers are brand new! I love Customer Care and I have just discovered Human Resources (HR) and this has to be my favourite subject. There is such a lot to it including recruitment and selection and employee practices. I enjoy sitting at a computer doing admin tasks, especially doing spreadsheets, so I also like my ICT class. One of the main benefits from doing this course is I have improved my confidence. I used to suffer from anxiety and I feel able to cope with this now. I also think my communication skills have really improved especially writing reports. I am a people person and enjoy helping and motivating others and that’s probably why I am attracted to HR. One of the things we learn on our course is how to work as a team and the value of listening to other opinions and showing respect. I would definitely recommend studying a business course. It does not matter what age you are, you can come to college and develop your skills. These skills can be transferred into any job you want. But you’ve got to work hard and most of all believe in yourself! I’m thinking about working abroad and with my new business qualifications in admin, ICT, HR and Marketing I am more confident that I will be able to work anywhere in the world. 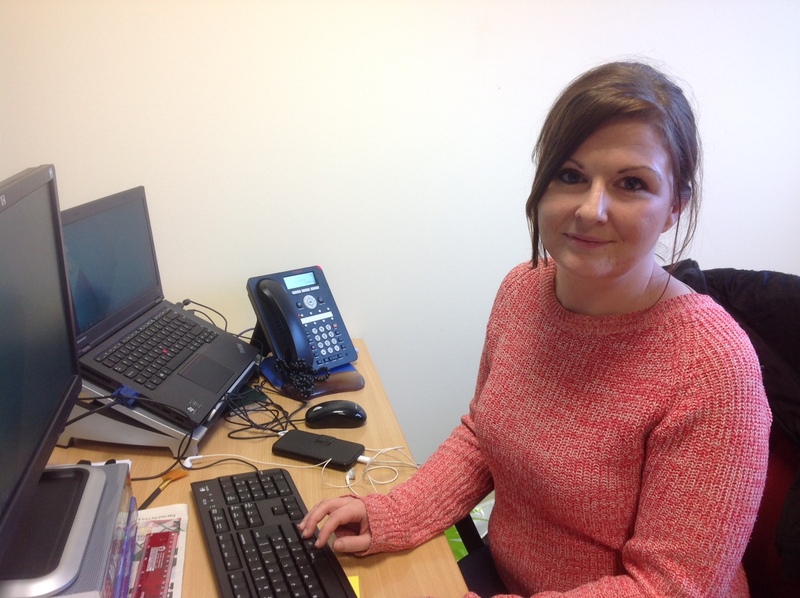 Stephanie Campbell from Ayr is a current student on the NC Business and Administration Level 5 course. I left school and went straight into work in a call centre. I enjoyed this job as I like working towards a target and achieving a bonus. I did both inbound and outbound calls and a mixture of sales and customer service for Sky TV and a credit card company. I was able to afford my own home and I earned a good salary. I then started a family and became a stay at home mum. I am now ready to return to the workplace but feel that I need to get myself up to speed and learn new ICT packages as the office environment is changing all the time so it is important to be up to date. I also need to boost my confidence! When I left school I did not have any qualifications, but with my work experience a Level 5 course has been a great place to start. It runs from September – December. I am moving onto the Level 6 course which runs January to June, and at the end of the year I will have two National Progression Awards (NPA) and a Personal Development Award (PDA) as well as the NC Business and Administration Award. Next year I will do the HNC Award and within two years I feel I will have achieved really great qualifications. I knew I would enjoy the Microsoft Office training in word processing, PowerPoint and Publisher but I’ve been surprised to find myself liking the marketing and accounting side of the course. The Level 5 course has introduced me to these new subjects and enabled me to explore new things. This course is great because you are not specialising in one area – it gives you so much choice and I think more doors will open for me in my career now. Find out more about our business and administration courses here. Thanks for the good post. Am inspired by it. I agree. Business administration is required in each company. So the role of business administration plays an important role. No wonder that this position is still in great demand. And about increases confidence, I agree. Business is all about teamwork, communication and interpersonal skills. Growing these skills increases confidence. To handle financial problems, credifin-nederland.nl is best partner for your business and one of the best debt collection agency. Get unique solutions and different approaches from those skilled in this field. Business Administration Courses are very important for Business Startup. Anyone who wish to boost their carrier with Business Courses must enroll with Business Administration Courses. Business courses will let you understand your firm in depth including its nature and character which in return will help you to gain economic success in the future.